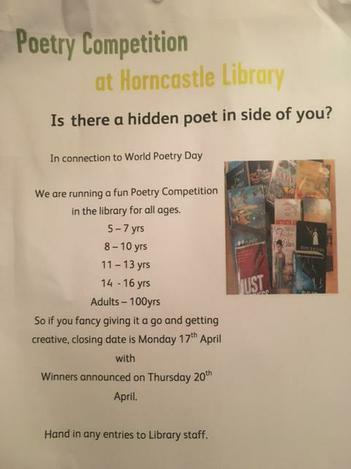 Horncastle Library are running a poetry competition to celebrate World Poetry Day. See the poster below for further details. Make sure entries are in by Monday 17th April - good luck!